The most EPIC release night, take three! | This Is Finda! So, after the last two awesome release nights we were hard pressed to come up with something even more awesome to keep the escalating awesome race going. We spent some time considering many options and finally decided on some UV insanity. 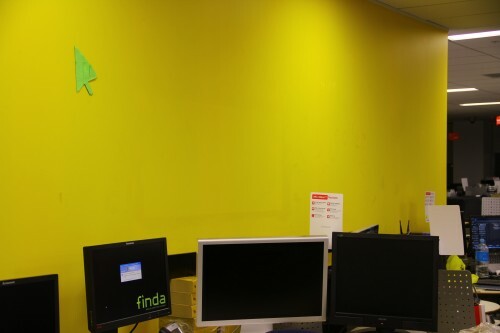 We’ve started a tradition with Finda releases to decorate the big Yellow wall that looms over the developers. To make it more friendly, to make it more Finda. As you will see in the video and pictures below, last night, we made it a LOT Finda. Awesome Finda. The tools of the evening are two 42″ UV black lights (from Surplustronics who have an awesome collection of lights and electronic goodies) and three colours of invisible UV ink. 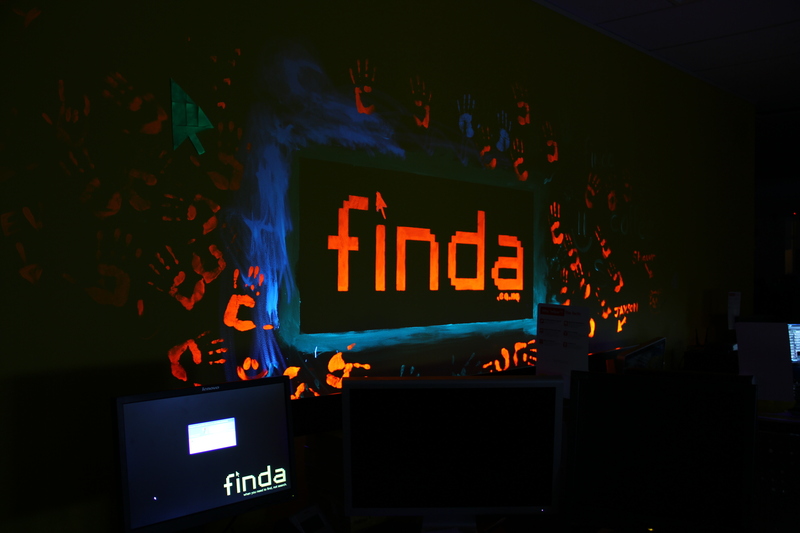 Thanks to True Colours who sponsored us a vinyl Finda logo stencil we were able to… dab… small amounts of UV ink onto the big ‘ol Yellow wall making a nice, mostly invisible, Finda logo right there to look out over the awesome Yellow Coding Ninjas. Then things got… out of hand… you’ll see what I mean. That’s right! You even slept there! That is freaking awesome guys! You totally rock! This is tooo AWESOME. 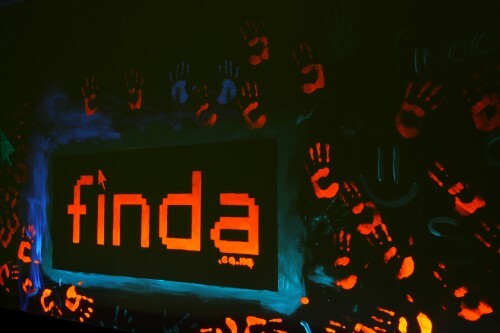 Well done to the FINDA team!!!!! I gotta ‘hand’ it to you guys! You are amazing. Where to from here? The mind boggles. 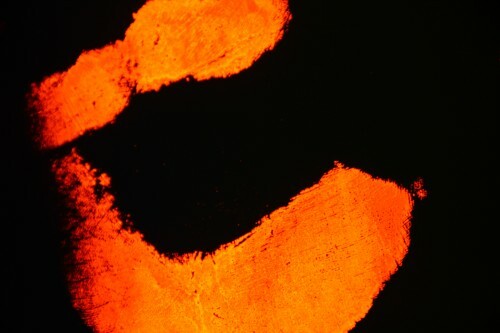 So when do you brilliant minds take over the running of Yellow! 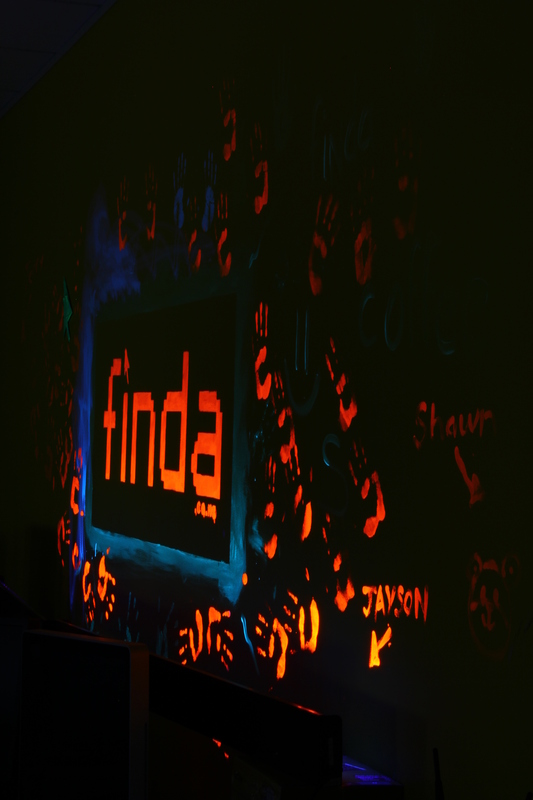 Fun times at Finda! Now I want to come in on release nights Great work guys. Your level of epic is undisputed, and hard to put into words. I, too, place all the weight of the English language on that one word…you guys are without a doubt the most AWESOME. freaking awesome!!! well done guys!!! Awesome effort fellas! The wall looks really good! What’s the music on the video? It’s great! Wow….We certainly do have some talent in the building!..I’m really impressed!!!…. (and I’ve worked with lots of production houses in the past)…YOU GUYS ROCK! !